Comments: Performs best when the soil is kept constantly moist during the growing season. New foliage is mahogany which greens with age. 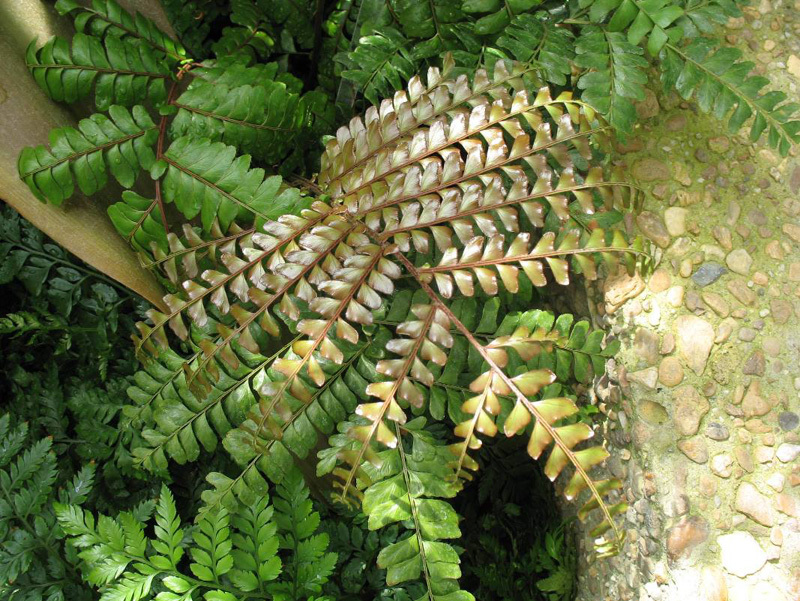 Unlike most ferns, this species prefers high light intensities. Likes high humidity.